Lot 23C 1930's - WADDINGTON'S PLAYING CARDS. 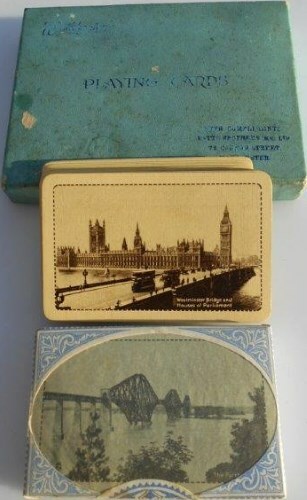 Two Packs Boxed "FORTH RAIL BRIDGE (TAX WRAPPED) & HOUSES OF PARLIAMENT (Loose, joker missing). Excellent condition.